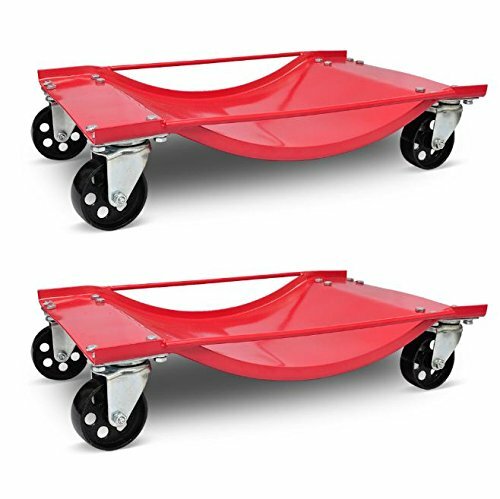 This pair of car transport trolleys are ideal for industrial and commercial applications, stock rooms, warehouses and more. They are easy to carry large and heavy items, holding up to 990 pounds (1980 lb per pair). This pair of car transport trolleys are perfectly balanced on four swivel castors. Each trolley has 4 swivel castors for maneuverability. If you have any questions about this product by SKB Family, contact us by completing and submitting the form below. If you are looking for a specif part number, please include it with your message.